You are here: Home / Frequently Asked Questions / How Could my Workers Compensation Case Get Stale and Lose Settlement Value? How Could my Workers Compensation Case Get Stale and Lose Settlement Value? 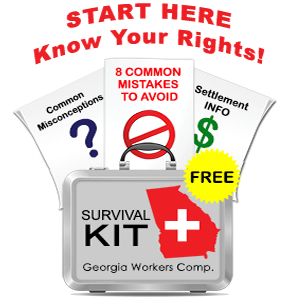 If you want to maximize the settlement value of your Georgia workers’ compensation case, you and your attorney need to identify the right time to settle. Timing really is that important. will they have to pay you TTD (lost wage) benefits for months or years to come? will they have to pay for your surgery or surgeries and extensive rehabilitation? will you be assigned a large PPD (permanent partial disability) rating? When these uncertainties disappear, your case loses settlement value. Claimant #1 is “Joe” who was injured on the job 2 years ago. Joe collected TTD benefits for 14 months, then underwent back surgery and after 3 months of rehab was released to full duty work. The doctor issued an 8% PPD rating. Joe insists that his back still hurts and he will not go back to work. Claimant #2 is “Sam” who was injured on the job 9 months ago. Sam has been collecting TTD benefits since his accident. He has tried physical therapy and epidural injections. Now at month 9, Sam’s doctor is recommending a lumbar fusion but Sam is not sure he wants to undergo surgery. Sam has yet to undergo surgery, which has a cost and there is the possibility that there will be surgical complications or additional surgeries necessary. When you break down these two cases, you can probably see why Sam’s case has a higher potential value than Joe’s case. If Sam’s case would warrant a settlement of $125,000, Joe’s might only be worth $10,000 to $15,000. The insurance company sees a lot more unknown costs in Sam’s case. Joe’s case has grown stale because it is unlikely that there will be any significant future costs. Had Joe considered settling his case prior to or right after his surgery, or before he was released to full duty work, his case would have been worth more money. These two examples offer a very general overview about how insurance companies value cases. Often, we have to make difficult decisions, like choosing to forego surgery for the time being, or challenging the posted panel doctor’s PPD rating. This is where you benefit from our 25+ years’ of experience in representing Georgia work injury clients and in preparing our clients’ cases for settlement. If we can help you please call us at 770-351-0801.